Christmas ornaments and cats do not mix, folks! I love the holidays. Everything looks so beautiful. The streets of Divinity are lined with wreaths and bows and twinkling lights displayed proudly on the old-fashioned street lamps. Christmas music pours out of vintage store speakers in the antique Victorian buildings. And a fresh dusting of pristine white snow softly blankets the town. Receiving gifts is fun. I can admit that. But giving gifts feels wonderful. The part I like the most is when I see the look on my friends' and loved ones' faces when they see what I bought or made for them. It doesn't really matter what the gift is, it's the thought that counts. The realization that someone cares about you and wants to make you happy. The only thing I don't like about the holidays is having a naughty scrooge under my roof. Okay, so my cat Morty isn't really a scrooge, but he is most definitely on the naughty list. Every decoration I put up, he bats down with his big white paws. For some reason the ornaments on my tree fascinate him. No matter what I do, he refuses to leave them alone. I'd give him a lump of coal in his stocking, but I think he'd like it. Sigh. 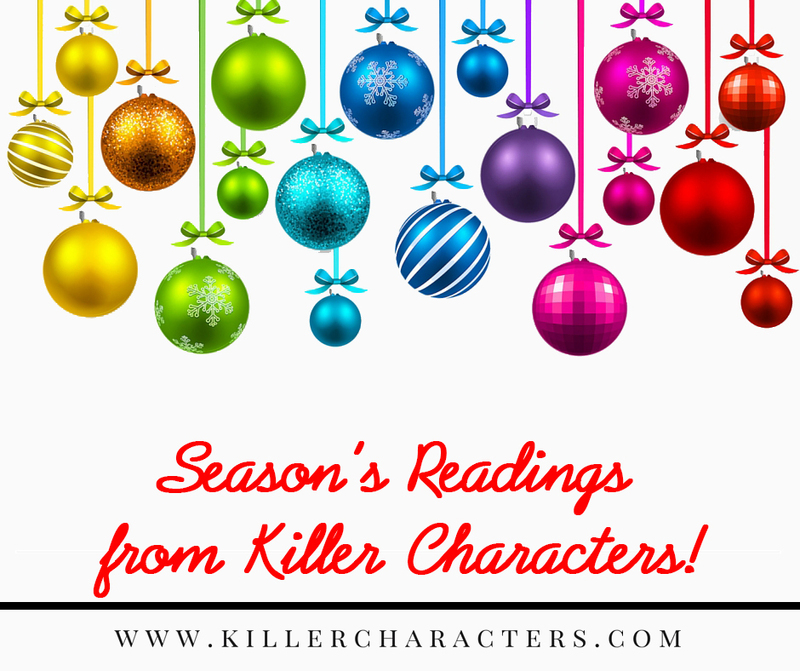 So tell me, what do you love about the holidays and what frustrates you? Comment for a chance to win a copy of one of my books. 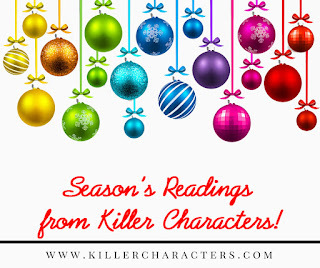 All month long the Killer Character authors are giving back to their readers, so check in every day for a chance to win some great giveaways. Happy Holidays and good luck! I will post the winner tomorrow on the sidebar. I love seeing my family over the holidays and being together but I dislike the hustle and bustle this time of year brings. I love Christmas & I also love a good mystery. I love Christmas, but I dislike the stress of the season. Stress...maybe that's what I can blame my overeating on this time of year! I love the cover, very attractive. I like seeing family but I hate how crowded the shopping centers get. I still haven't figured out how to avoid the grocery store during the holidays. That's why I do a ton of shipping online. But yeah, I seem to live at the grocery store. Guess everyone else does too. Oh, I hear that LynMarie! Drives me crazy. Della at deepotter@peoplepc.com Best thing about Christmas is the family get-to-gathers and the pretty, bright lights and decorations and the beautiful music. Like Blue Christmas by Elvis Presley. No one has ever done it as beautifully. And I would love a mystery to read in the quiet of the evening after everyone else has bedded down. Congrats Della! You're my winner. Check out my website at karileetownsend.com and choose a book of your choice in any format. email me at karileetownsend@gmail.com and I will get that out to you asap. I gave up a Christmas tree due to 2 cats and 2 dogs---it was just too tempting for them. My favorite part of Christmas is driving around townn at night and enjoying all the light displays; what frustrates me about the holidays is feeling so lonely since the hubby and I have no families to share the share the season with. Awww I hear you Sue. My parents live in Florida and they somehow ended up spending Christmas alone this year. Such a bummer, but we'll get to see them 6 weeks later over the kids winter break. I love the "otherness" of the holidays - it's a time that feels different than any other time. Ohhhh I love that term...otherness. And I so agree, Donna. Love getting together with family. It really is so precious, isn't it. I love to get together with family. Music during family gatherings. Traffic frustrates me as people seem ruder and would expect more courtesy. I love music of any kind, and especially Christmas music on Christmas morning while opening gifts. And yeah, Jake, don't even get me started on rude people. I love the decorations, family, friends. I avoid the rush in the stores and the traffic. Nothing worse than sitting in traffic forever to get there, and then sitting in line once you are there. Haha you make me smile Kathleen ;) I love driving around the neighborhood just to look at everyone's decorations. And love love love baking with my daughter. Love that her big brothers still decorate the xmas cookies even though they are college age. I love quiet time with my family and don't like the frenzy all around. Agreed, Libby. Frenzy can stay outside my house, haha. Love my family and trust me they are "frenzy" enough for anyone. My daughter just said the other day that this holiday season was flying by. She's 13. I said it's because you're getting older. Once you get older, everything flies by. Scary! This year my son-in-law is doing the cooking. I'm really looking forward to kicking back and enjoying the holiday. Awesome for you! I can't wait for that day. I love decorating and making gifts for family and friends. But the time just seems to fly by. It's over way too soon. Merry Christmas!!!! I must say, you all have been awesome! Good luck. My cat has been taking the ornaments out of the basket and batting them around. Good thing they are the unbreakable kind. I love the holidays. My only negative is that there is so much traffic no matter where one drives. I love being able to bake some of those special cookie recipes we only do this time of year. Parking is a frustration at times. I love the excitement of the kids and spending time with family. I get frustrated with people who have to act ugly to others. I love the holidays. Frustration comes to me that the time goes too quickly and I wake up one morning and it is all past. The holidays are for enjoying time with family and friends. Try as I might, the time will just fly but new memories will be there to bring out when I need a pick-me up. The thing that frustrates me the most is when a store does not carry a product you went looking for and so you have to go from store to store to find it. It would be great if you could go directly into the store buy the product and go home to avoid the other shoppers. I love to see some friends but hate the same few Christmas songs being sung at work. I really love this site!! 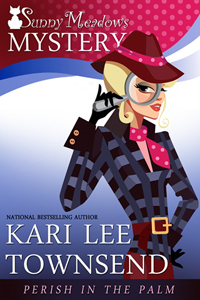 I would love to win a new cozy mystery!! That's my favorite kind of book to read!! Happy holidays!! First off than you so much for the giveaway. The cover is the best! Thank you for the giveaway and for all the pleasure you give us with your books. Merry Christmas. I love the music and family togetherness. Don't care to putting all the decorations up by myself. My DH can be a scrooge about that. But he makes the best fudge. 5 different flavors this year. Well thats a good question to ask me after having a horrible day yesterday due to remembering the recent death of my younger brother it hit me out of the blue so with all the rushing around and all that is the part I hate.But I do like to sit back and watch the kids laughing and having fun with their new toys and everyone together as a family.